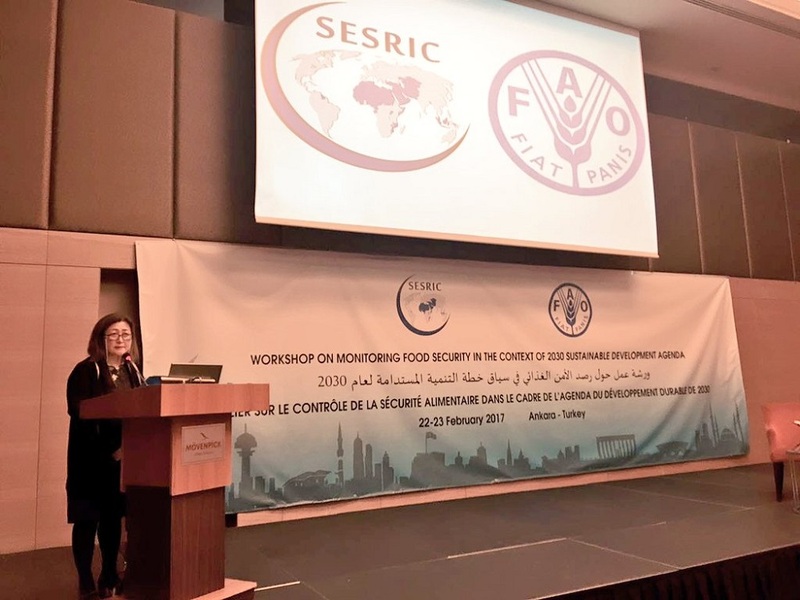 SESRIC in collaboration with the Food and Agriculture Organization of the United Nations (FAO) organised the Workshop on Monitoring Food Security in the Context of 2030 Sustainable Development Agenda on 22-23 February 2017 in Ankara, Republic of Turkey.. 40 participants from National Statistical Offices (NSOs) of 19 OIC member countries including Afghanistan, Albania, Azerbaijan, Bangladesh, Gambia, Indonesia, Iran, Jordan, Kazakhstan, Kyrgyzstan, Malaysia, Maldives, Mozambique, Pakistan, Palestine, Somalia, Tajikistan, Turkey, and Uganda and 7 international organisations including Economic Cooperation Organization Regional Coordination Centre for Food Security (ECO-RCC-FS), FAO Statistics Division, FAO Sub-regional Office for Central Asia (FAO-SEC), Islamic Organisation for Food Security (IOFS), UN Resident Coordinator’s Office in Turkey, World Food Programme (WFP) and SESRIC attended the Workshop. In his Welcome Speech, H.E. Amb. 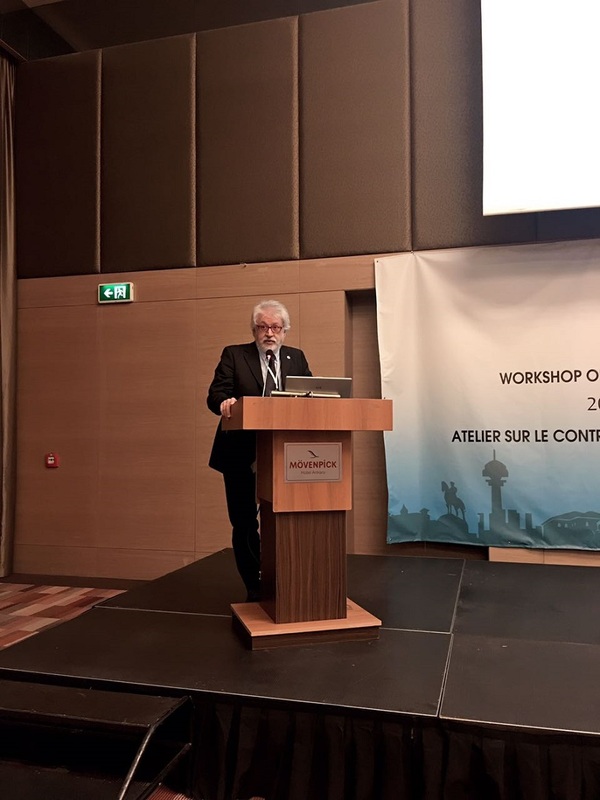 Musa KULAKLIKAYA, Director General of SESRIC, stated that food insecurity is one of the most significant challenges facing humanity today. The Director General of SESRIC underlined the fact that the persistence of hunger is no longer simply a matter of food availability. He went on to say that if significant progress cannot be demonstrated, the zero hunger target could be largely missed by 2030. Amb. 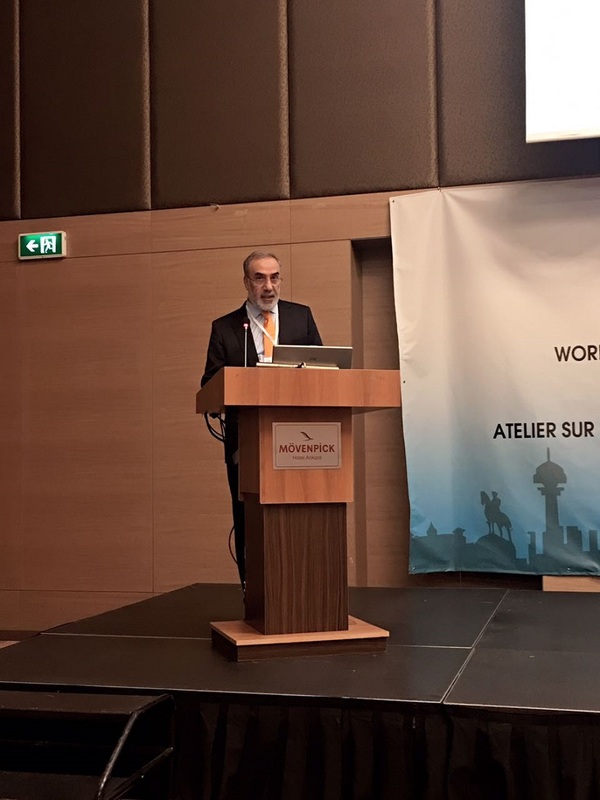 Musa KULAKLIKAYA pointed out that the OIC member countries should exert more efforts in strengthening their statistical capacities by establishing linkages with international and regional organisations in order to produce high quality access to food data which will lead to better tracking of progress and guiding interventions to fight food insecurity and malnutrition. 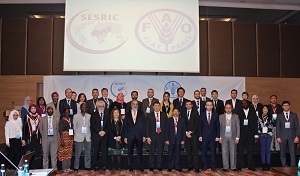 The objective of the Workshop was to develop capacities of officials of the selected National Statistics Offices (NSOs) to advocate with national government leaders for the inclusion of the Food Insecurity Experience Scale (FIES) and food consumption modules in national surveys for monitoring SDG target 2.1. During the Workshop, the participants were informed both about the Prevalence of Undernourishment (POU) and the FIES methodologies, as well as the steps to implement them and the relevance of the information they provide for food security policy. The participants listened to the country experiences on conducting nationwide household surveys and governing food security data, and the challenges they face vis-à-vis during the relevant household surveys. The Workshop also included a data analysis session in which the participants found the opportunity to carry out analysis on FIES data.